Severina Pascu has been the CEO of UPC Romania and Hungary since August 2013. 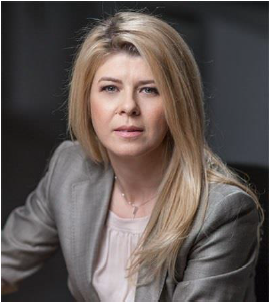 A graduate of the Romanian Academy for Economic Studies and an ACCA graduate, Severina Pascu is one of the most important Romanian executives, with an extensive experience in finance and business operations. 1. What do you think will drive cable’s priorities for marketing as we look at the state of the industry in 2015? I expect to see a turnaround towards building sustainable brands that consumers want to partner with. The focus is now on multiple screen experience. Switching from linear to non-linear viewing and addressing the increased need for connectivity. On the marketers’ agenda we should definitely find customer led innovation (with cloud based solutions, SVOD and all around connectivity). Another important topic is related to priorities: opportunities on topline, secure content to enable market differentiation. We need to deliver our products in a much simpler and easy to understand way for consumers, under a strong brand proposition, build on loyalty – that will translate into more value for all parties – customers, companies and industry as a whole. We will see cable companies strengthening position on the mobile space, trying to offer complete proposition to the consumers in the home and outside the home. 2. What are the big emerging consumer trends? As in all industries, the consumer expects full control and this translates into expectations to have access to own relevant and customised content and stay connected all the time. With the even increasing penetration of smart mobile devices it is almost imperative for service providers to enable SSE consumption (TV everywhere) and personalised content access/consumption (SVOD, Catch-up TV). The future is around personalised and digitalised lifestyle. Studies show that smartphones become top on the indispensable list and this is yet another reflection of our need for connectivity. 3. What are your biggest priorities for customer experience at UPC? We strive to have customers that LOVE our brand. The journey starts with providing exceptional product experience, and at UPC we make sure that our products respond to the needs of our customers. We need to have best in class customer interactivity, both online and offline. So it is more and more about the consumer staying in a partnership with a brand they love. This is our destination. 4. Where are you innovating most on products? We are in a fortunate position to have a robust and reliable network which we have built over years, and this enabled us to easily deliver innovative products, whether we speak about entertainment (Horizon products) or connectivity leading in our markets with reliable and strong internet connection. We incorporate innovation in all new products, so that we live by our ‘we constantly innovate’ value. 5. In your view, is the way you tackle customer experience in the Romanian and Hungarian markets unique? How would you describe the typical UPC customer in CEE? It is unique. I think we have a unique opportunity to build value focusing on customer experience. It is about personalised communications, need based products and services and closing the loop on interactions we have with the customers. Care is increasingly important. Choosing the right content to be offered to consumers is also important. For that, we need to understand better than ever not only the NOW factor but also the biggest trends, as geographical location becomes less important. 6. What does UPC do better than its competition from a marketing and engagement standpoint? We constantly innovate. We make sure that we lead in product innovation constantly bringing innovative products on the market, from digital TV Horizon, HD launch, apps, Fiber Power speed internet. In a very challenging region, we build a brand for the future. With a competition focused on price, we need to be providers of value for our consumers. We count going forward on us through our people being able to build strong relationships with our customers. We have built a company culture that helps us deliver that and we know our success lays on the ambition of our people to be the best. Both Romania and Hungary had a turnaround moment that was only possible with our people. 7. What strategies does cable need in order to effectively compete for consumer attention in a hyper-connected world? Continue to innovate and drive customer behaviour change with our products. Hyper connection is a must for our relationship with our consumers. 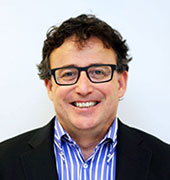 Andrew Wajs joined Irdeto in 1992 as a development engineer where he architected the world’s first DVB Conditional Access system. Since joining he has been the senior systems architect, a key innovator and patent author. Subsequent to this he has been the force behind many start-up projects within Irdeto ranging from secure music distribution, session based watermarking for video and audio content, the world’s first pay satellite mobile TV solution in Korea and software based security solutions for digital content. Meet Andrew Wajs at Cable Congress 2015, 11-13 March , The SQUARE, Brussels – register now. Irdeto is a world leader in Multiscreen, Revenue Assurance and Media Protection solutions for pay-TV operators, OTT service providers and content owners. Irdeto enables pay media companies to provide a personal media experience for their consumers, uncover new revenue opportunities and offer new forms of entertainment on broadcast, broadband and mobile networks. The company offers an advanced portfolio of rights management, multi-screen, home networking, piracy control, media protection and business intelligence services. Tackling next-generation challenges requires more than just technology. Operators must take a more holistic, end-to-end approach to thrive and Irdeto offers a winning formula combining state of the art technology with responsive, proven services. What are the key challenges facing the piracy control business at the moment? Advancements in technology combined with increasing broadband availability & speed have allowed pirates to adapt, making content redistribution the biggest threat currently facing pay-TV operators and rights holders. As little as 2-3mbps is sufficient to access hundreds of pirated pay-TV channels and movies from almost everywhere in the world, in HD or near HD quality. Beyond broadband capability, pirate OTT devices on the market today can provide functionality and a user experience that can challenge even the best pay-TV offerings. Many pirate OTT services also have professional websites with effective marketing and offer a ‘plug & play’ philosophy with support. Some even tout money-back guarantees. As a result, many people who consume pirated content do so unintentionally due to these legitimate-looking subscriptions and offers. This new sophistication of piracy requires increasingly powerful countermeasures. Pay-TV operators and content owners, especially sports rights holders that are dealing with a short monetization window, must rely on a wide range of technologies, automated mechanisms and global collaboration networks to disrupt piracy. Countermeasures include discovering how pirates market to consumers (linking sites, social media and piracy ads), tracking and disabling illegal streams in real time, tracing back to the origin of the pirate stream with advanced forensic techniques and catching the real criminals behind piracy through investigation and evidence collection for prosecution. What are the technology trends driving the sector forward? The industry is witnessing an unparalleled change in how media is consumed due to the increasing nature of IP connected devices – and those changes continue to accelerate with the availability of broadband and expanded distribution of new devices worldwide. As a result, home networking, the Internet of Things and other new advancements such as 4K are driving innovation and presenting a myriad of opportunities and challenges. For example, 4K promises enhanced quality, navigation and varied business models. 4K will be synonymous with responsiveness, openness and flexibility in both technology and consumer engagements, but it won’t come without risks and new mandates from rights holders and Hollywood studios. Those operators who can think outside “the box” will be able to manage these risks, adhere to new requirements and find opportunities to drive their business forward. What innovative products is Irdeto working on now? The pay media ecosystem has become more and more complex over the past few years. Operators are now realizing they need to have more control and be “in the driver’s seat” to ensure quick time to market for new services and offerings. In response to this need, one of the latest innovations Irdeto has come to market with is the Irdeto Keys & Credentials service. Irdeto Keys & Credentials is a vendor-neutral managed service to operate all processes and workflows for security management on behalf of pay media operators. It allows them to maintain full control over the security and business decisions relating to their content distribution platforms and avoid technology lock-in, enabling them to leverage innovative product features and functionalities as they become available. In essence, Keys & Credentials enables some of the biggest operators in world to take complete control over the design and architecture of their devices, there by overturning a 20-year+ lock-in to CA and DRM security technologies. Now, operators can easily change apps, features and security suppliers because they have full management and control over their keys. How are the innovations in the cable industry impacting on your investment decisions? One focus area for the industry and indeed in the wider technology space is the introduction of connected devices to form an “Internet of Things” for Smart Homes. Irdeto is currently working on cutting edge solutions and innovations to meet the needs of operators interested in taking a claim within this emerging market. By providing services within the Smart Home, operators can expand their interaction with customers and cement their role within the day to day life of the customer. Consumer habits are likely to continue to change with more and more content consumption via smart TVs and the Internet. How is Irdeto anticipating these trends? Consumer habits are changing daily with the introduction of more screens and devices, more IP connectivity, more social TV and recommendation services and future advancements still on the horizon. It’s a buffet for the consumer, and operators are expected to keep it plentiful and full of variety. The “screen,” be it fixed big screen or mobile, will still be a focal point for virtualizing (and visualizing) all kinds of new consumer services. The question each operator has to ask themselves is: should they deploy and offer these services themselves; form partnerships to allow third parties to use their subscriber base as a channel of distribution or simply allow third parties free reign over their subscribers? Irdeto believes operators are best positioned to play a leading role in the next iteration of tech development, the connected home, because they have deep awareness of subscriber base and demographic/market data to determine the “right” or “killer” IoT app for their market as well as experience with multi-service offerings delivered through gateways and complementary devices. You are active on various continents. How does your business cater to the different needs of each region? Irdeto provides services to pay-TV operators, broadcasters and rights holders across the world. It identifies and analyzes the local needs of each market and tailors products to meet each customer’s unique needs. We are seeing strong interest for Piracy Control in all markets, especially the Middle East and North America, notably from broadcasters with exclusive rights to live sports coverage. For example Irdeto works with Univision to make sure that content is protected across all screens, while providing a seamless, latency-free experience for consumers regardless of device. Irdeto also works with the English Premier League to support the league’s continued efforts to tackle the illegal redistribution of set-top boxes capable of receiving illegal content streamed over the Internet (IPTV STBs). Irdeto Multiscreen, and with that our (managed or licensed) Rights offering, is successful across all regions of the globe, counting high profile operators such as Astro, Liberty Global and FOXTEL as customers. Liberty Global selected Irdeto for all their European markets, including the UK, to protect and securely deliver their linear and VoD content as a managed service through the cloud to IP devices. This includes a technology-agnostic approach that supports multiple DRMs and leverages exclusive Irdeto security hardening technologies. Meanwhile Irdeto’s Cloaked CA services are most sought after in Latin America and in the Asia Pacific region. Clients include UNE in LATAM and Cable Thai Holdings, IMTV, Manthan and Orange TV in APAC. IMTV, the broadcasting arm of Indonesia`s Lippo Group is using Irdeto`s Media Protection solutions to securely deliver digital television content over BIGTV, a premium direct-to-home (DTH) satellite service. Using Irdeto’s technology to launch BIGTV in 2013 has allowed IMTV to rapidly become one of the largest media networks in Asia. Cable Congress will be taking place in Brussels from 11-13 March 2015, The SQUARE, Brussels. For more information and to register, please click here. You have time until Friday, 10th October to submit your paper. If you would like to share your experience on the latest trends and developments in the industry, then please do get in touch. Visit here to submit your entry and for more information. The high quality of attendees reflected a broad cross section of the industry, with 18% of delegates representing cable operators and service providers, 36% equipment and set top box vendors, 12% content providers. Visit here for the full attendee breakdown. With a largely C-suite level audience, being seen at Cable Congress is essential for any major player in the global cable industry. If you’re interested in sponsorship or exhibition opportunities, please contact Rhis.Edwards@cablecongress.com. Jordan Casey is a 14 year old self taught programmer and entrepreneur from a city called Waterford in Ireland. He currently runs 2 companies: Casey Games – An Independent Game Company and TeachWare – A web based application for teachers to easily manage all their students information in the cloud. Join Jordan at Cable Congress next week as he goes through his story and challenges he has faced and what it’s like to be a young entrepreneur. Don’t miss his keynote speech on 13th March. Between 5-6pm CET /9-10am MT /8-9am PT on Friday 28th February, Phil will join us on Twitter for one hour to answer all the cable related conundrums! Want to hear more from Phil? This year at Cable Congress you will be treated to a special screening of the first episode of ‘Rectify’ from the award-winning producers of Breaking Bad, taking place after the conference on Day 2 during a special drinks reception. Watch this special sneak peak of Rectify, which premieres exclusively on Sundance Channel this spring! Less than TWO WEEKS remaining until the Cable Europe Awards 2013 entry deadline. As a leader in the cable industry, this is the perfect opportunity to showcase your exceptional work. This award recognizes the dedication and contribution of an individual to the European cable industry. We need your help in finding the person that stands out as a shining star in one of Cable Europe’s member companies. It’s time to turn the spotlight on that person who embodies what cable is about, who consistently delivers excellence and represents that special talent that is needed in the increasingly competitive European marketplace. We want to recognize an amazing project (product, service, technology, organisation, etc) that stands out as a bright spot in helping push cable innovation forward and stay ahead of the customer. Often these kind of ground breaking innovations are the result of a joint project between a cable operator and its partner (vendor, content provider, consultant, etc). The Cable Europe Innovation Award celebrates that shining example of innovation that keeps our industry vital. Being a Cable Congress Awards winner is a clear message of excellence, quality, innovation and leadership that will bolster your position in the eyes of your existing and prospective customers, partners, suppliers and competitors. Meet the 2012 Award Winner. The shortlist of nominees will be presented on Day One of Cable Congress, March 5th. The judges are attendees of Cable Congress who will vote for winners on site on the shortlist of nominees on Day Two of Cable Congress, March 6th. The Cable Europe Awards are now in their second year and have – it’s now official – gone annual. Cable Europe has developed the awards to showcase and celebrate best practice in the European cable industry. The Cable Europe awards recognize significant contributions that help make cable the vibrant and winning sector that it is today in Europe. Anybody connected to the European cable industry is invited to put forward candidates. To nominate please complete the entry form here. Based on the nominations received, Cable Europe will put forward a list of three nominees for each award. Nominees will be informed one week prior to Cable Congress. TalkTalk – the forgotten man of the UK TV industry– has woken up. Even though it has operated a TV platform since its acquisition of Tiscali in 2007, it has been so quiet on the matter that some have questioned whether it has actually forgotten the service exists. Of course, TalkTalk’s issue is not one of amnesia, but one of timing. It has now broken radio (or should that be TV?) silence and it appears to be in a generous mood. This morning it announced that it will offer YouView boxes for free to all Plus broadband customers that sign new contracts. It will also offer LoveFilm for 12 months, again, free of charge to Plus customers, and it has struck a wholesale deal with Sky for its branded channels.